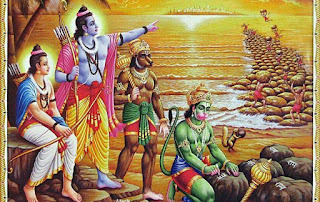 Mumbai, May 11 (PTI) Indian epic "Ramayana" is heading to the big screen with the producers planning a big budget triligual film series on the story. Producers Allu Aravind, Namit Malhotra and Madhu Mantena have joined hands to bring the movie adaptation of the ancient Indian Hindu religious epic, which will be a live-action feature film. The film will be a three-part project and will be released in Hindi, Tamil, and Telugu. When contacted, Mantena confirmed the news to Press saying, "Yes I am (doing it)." Aravind said, "It's a huge responsibility but the Ramayana needs to be told on the big screen in the most magnificent way possible. We are committed to delivering a spectacular extravaganza". A source close to the development shared that the trio has been working on the script for over a year and the film is expected to be made on a budget of Rs 500 crore. Namit said they will tell the story in a grand manner. "Three generations of my family have been in the movies and we have a world-leading capability in bringing such stories to life. There cannot be a better time and opportunity to tell the greatest Indian story to the world in a way that preserves its respect and vision. "The partnership with Allu sir and Madhu has aligned me with the best partners who share the same vision and passion, to make this a cinematic experience," he added. "Ramayana" was brought to the small screen by Ramanand Sagar in 1987 with Arun Govil and Deepika Chikhalia as Ram and Sita. The other TV adaptation was aired in 2008 starring real life couple Gurmeet Choudhary and Debina Bonnerjee.